We can find the work of graphic designers everywhere. You can see it on the screen of your mobile phone, on the wall of a nearby building, or on the clothes you wear. 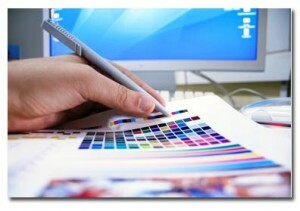 Small or big companies, private or public institutions, profit or non-profit–we all need graphic designers in our teams. Great designers to be precise. But how to get this job in an interview? What questions will the hiring managers ask you? And how to make a good impression on them? I will try to answer these questions on our website. 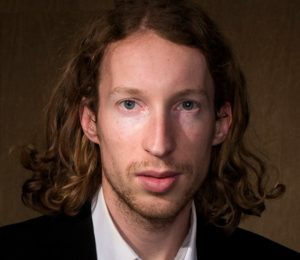 My name is Matthew Chulaw, I’ve been working in international recruitment since 2008, and today I will try to help you succeed in your interview. Welcome! You will need to demonstrate your creativity, good level of understanding for the target group of customers, and a practical knowledge of Photoshop, CAD, or other tools graphic designers use in their work. Like in every other interview, HR managers will ask you some questions. You will deal with personal, behavioral and technical questions. On the top of that, you may need to showcase your design skills in a practical test. The interviewers may ask you to improve a simple design, or to offer your ideas on a concept, layout or logo. In other cases, they may ask all applicants to prepare some work upfront, and bring it to the interview (something simple again, a logo, a business card, etc). It does not matter if you have worked for clients for ten years, or if you have been designing things only for yourself to date. In both cases, you should pick your best works and prepare a presentation, either a digital one, or, even better, in a paper form. 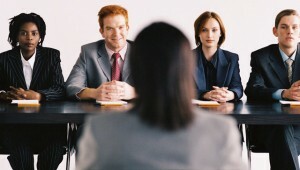 Work portfolio can help you to avoid practical tests in an interview. What is more, bringing it shows the managers that you really care for getting the job, trying everything to convince them of your skills. What questions do they ask in a graphic design interview? You can expect a mix of behavioral, technical and personal questions. They try to assess your motivation and communication skills with personal questions. Your answers to behavioral questions suggest your behavior in various work related situations, and help them to understand your attitude to pressure, deadlines, conflict, relationships in the workplace, etc. What characterize a good designer from your point of view? Describe a situation when you needed to meet a tight deadline with a project. Describe a situation when you worked under pressure. How did you handle that? Describe a conflict you had with your boss, or with your colleague. What was the situation and how did you solve it? What do you consider the most important trend in graphic design? What is a primary goal of a graphic designer? Is it important that the design is good looking, or what else should a designer consider their first priority? What do you consider your most successful design project, and why? What are the differences between associative hatching and non-associative hatching in CAD? If you wanted to select a line and there were other lines on top of it how would you select it in CAD? What is the difference between a crossing polygon and a window polygon? Explain about Lasso tools in Photoshop. What is the shortcut to zoom back to 100%? CAD and Photoshop have intuitive user interfaces. If you have good computer intelligence, you should find what you need in them, anytime. But I still suggest you to work with the software for a couple of hours prior to the start of your job interview. However, your ability to learn, and to think outside of the box, are even more important than your actual knowledge of CAD or Photoshop. At least that’s the way the hiring managers see it. Oppositely, a creative person who knows what to design and why to design it in a certain way, someone who understands the business and the people they design things for, can always learn to work with a software, and make a perfect design for every campaign. Even if you are the best designer in your city, they may still hire somebody else. Why? Simply because success in an interview isn’t only about your design skills. You have to convince the employer about the value you can bring to their team, you must show them that you fit well into their company. And you should give good answers to their questions…. We hope that the free content on our website will help you to understand how to do that–at least to some extent. But if you want to be sure you did the most you could to get this prestigious job, that you did all you could to succeed, you should have a look at my I Will Get a Job Recording, which will teach you the winning interview strategies. What is more, since the end of January 2018, I added answers to thirty most common interview questions as a free bonus to the recording. Enjoy it, and succeed. Matthew Chulaw, your personal interview coach.